Hey dolls! 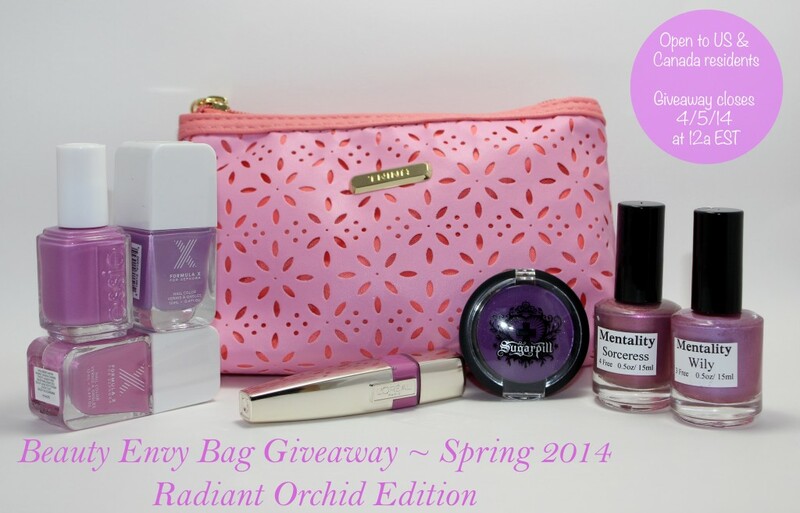 Just a quick post to announce the winner of the radiant orchid themed spring beauty envy bag giveaway. Many congrats to Nicole O! She has already been emailed and has responded to claim the goodies. Thanks so much to all of you who entered and happy weekend!